Merrie is an award-winning community based ceramic artist. Her practice spans over three decades and presently specializing in hand-built sculptural and woodfired works. Merrie’s work is engaging, connecting with her intuition and exploring deep within to express the fusion of the inner child and spirituality. 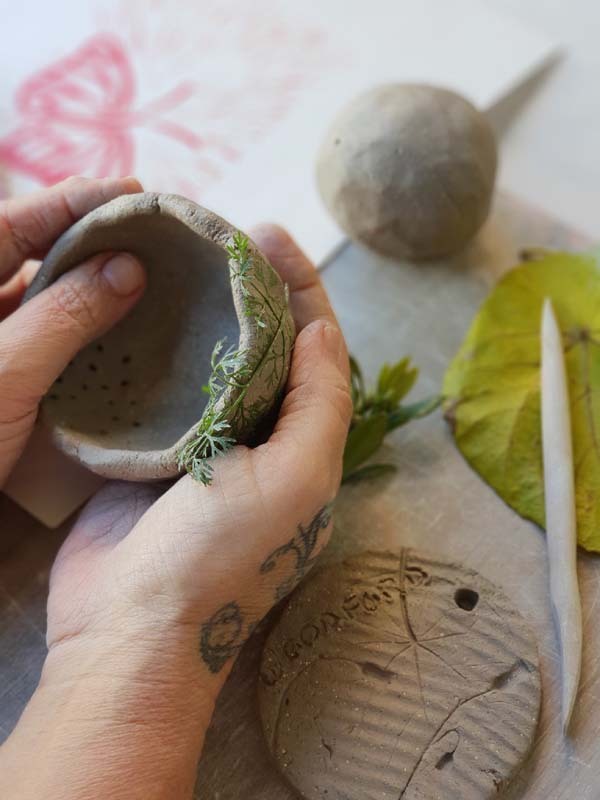 Lose yourself in an open and relaxing creative space where you can use found objects, ink, stamps and paint to make sculptures and prints with clay, lino and a host of other materials with Merrie Tomkins.